Note: The ability to perform this action is restricted to users who have been provided, by the institution, with the administrator privileges necessary to add/edit an account. 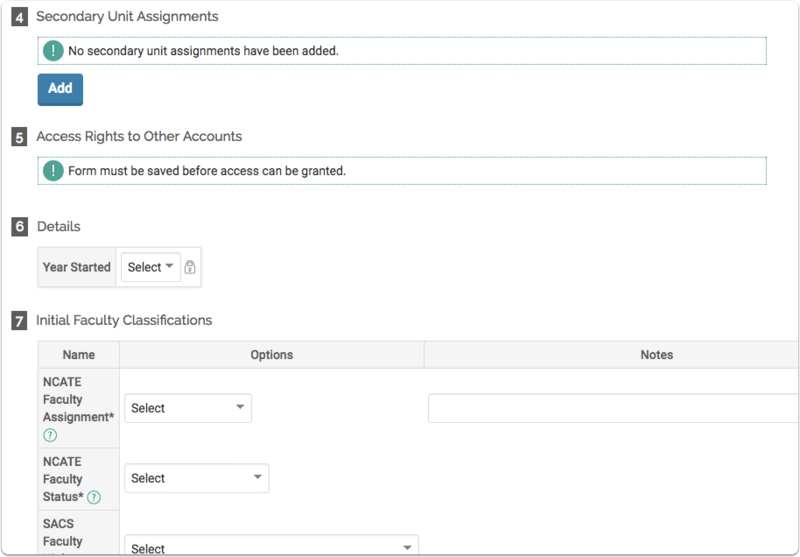 Select the Admin section of the navigation bar, and then click the Administration . The next page will display the unit structure, click the Add button at the bottom of the screen. 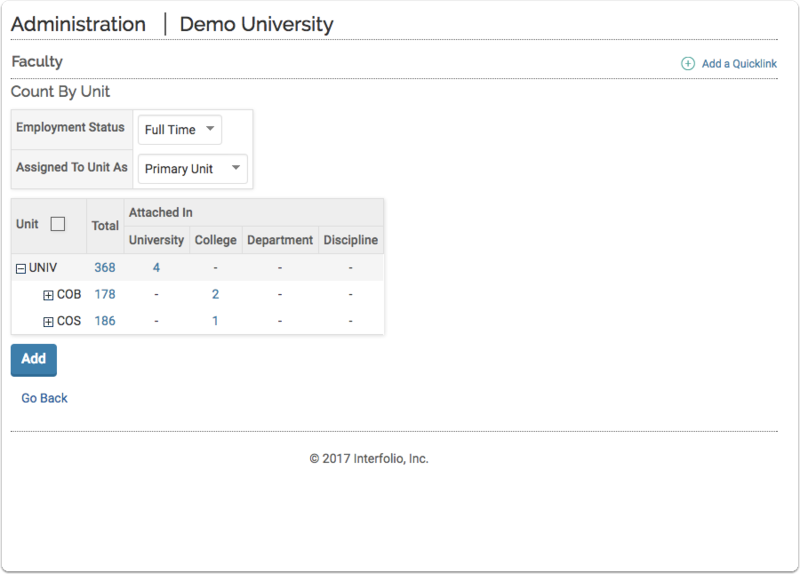 After clicking the Add button, you will be brought to the Faculty Form screen. 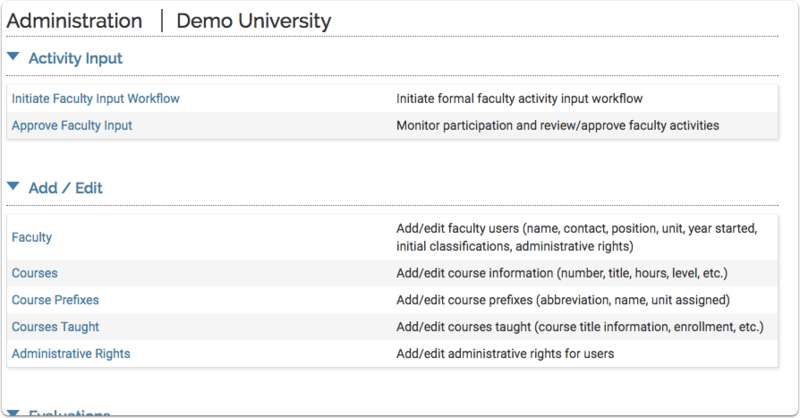 Fill out all of the relevant and required information on the Faculty Form screen. Also setting up any permissions and assignments for this user on the fields below. Note: All required fields have an asterisk next to the label. 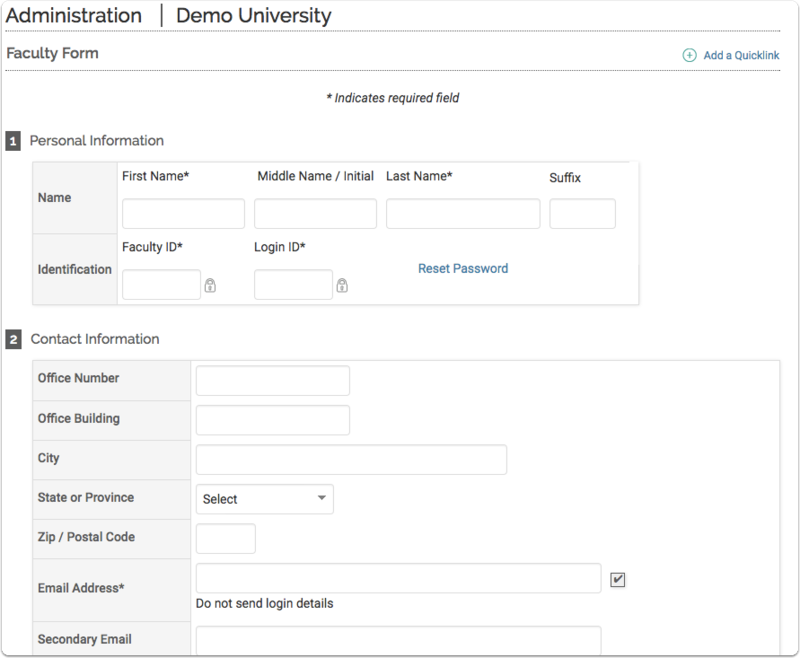 Exact information required or displayed will vary per institution, especially login information and methods. When all of the relevant information has been entered, at the bottom of the screen, click one of the Save buttons to submit the information that has been entered on this form.